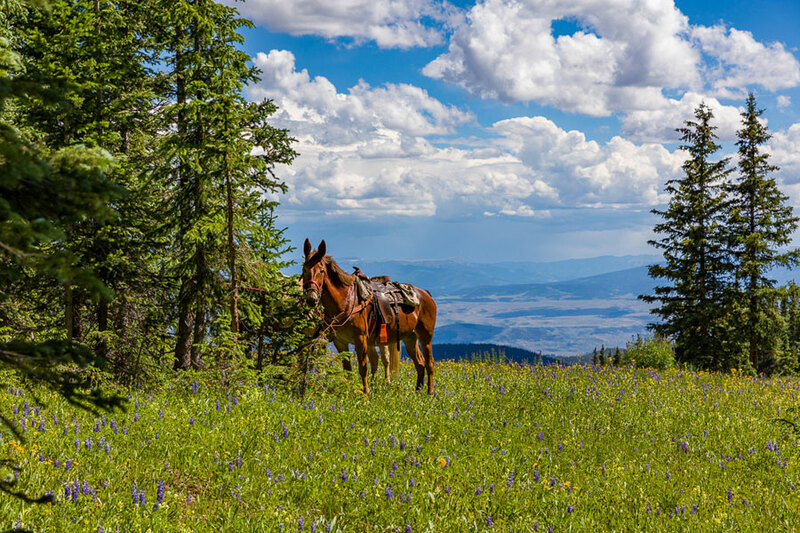 EXPERIENCE THE BREATHTAKING WEST ELK WILDERNESS BY HORSEBACK! 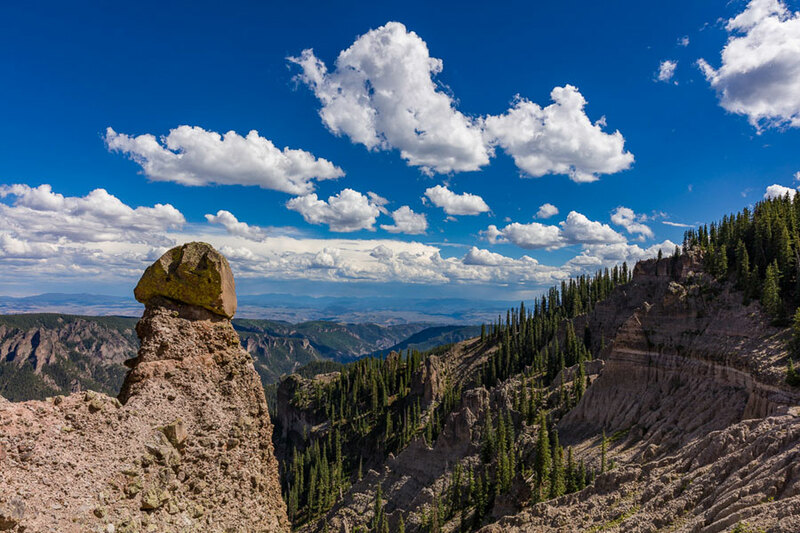 We offer a range of horseback adventures and guided activities in the beautiful Gunnison Country! Our professional guides and experienced mountain horses have all the knowledge, you only need to bring your sense of adventure. Our trips are customized to each individual group. 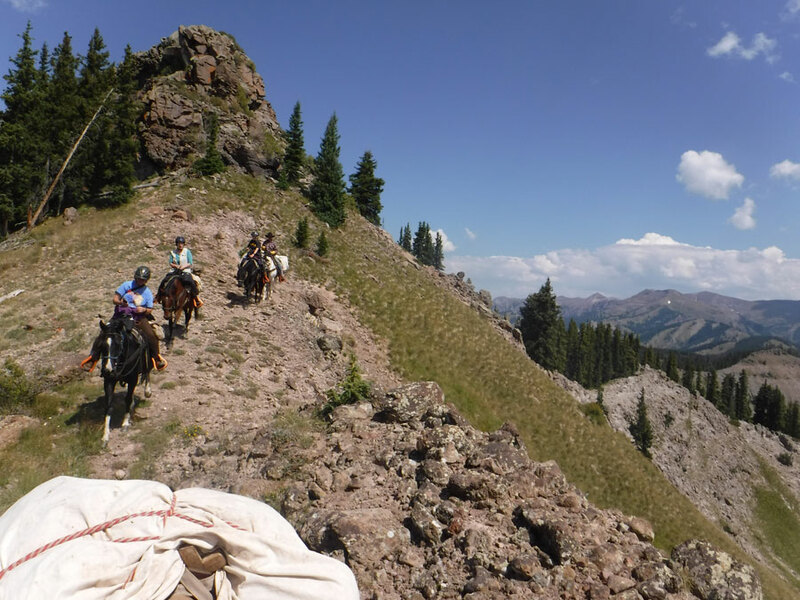 These horseback trips travel into some of the most remote areas of the West Elk Wilderness. 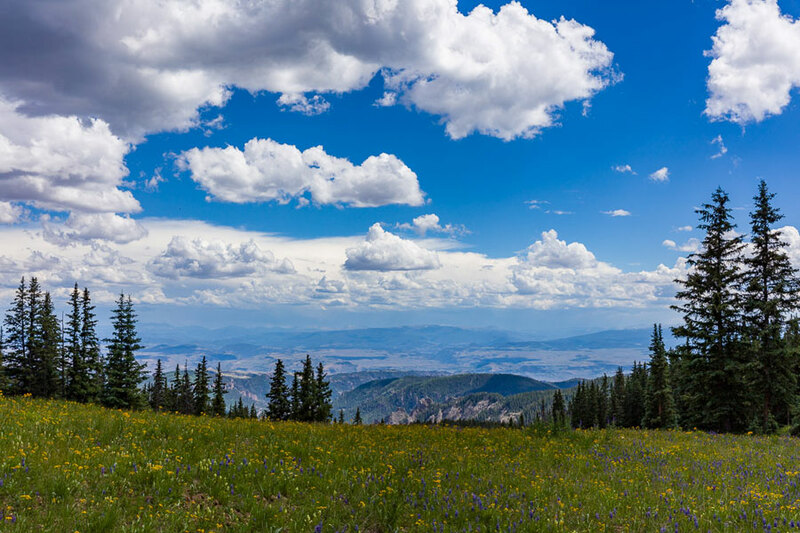 Wildlife and wildflowers are abundant in the summer, colorful aspens in the fall, and as always, breathtaking mountain views. 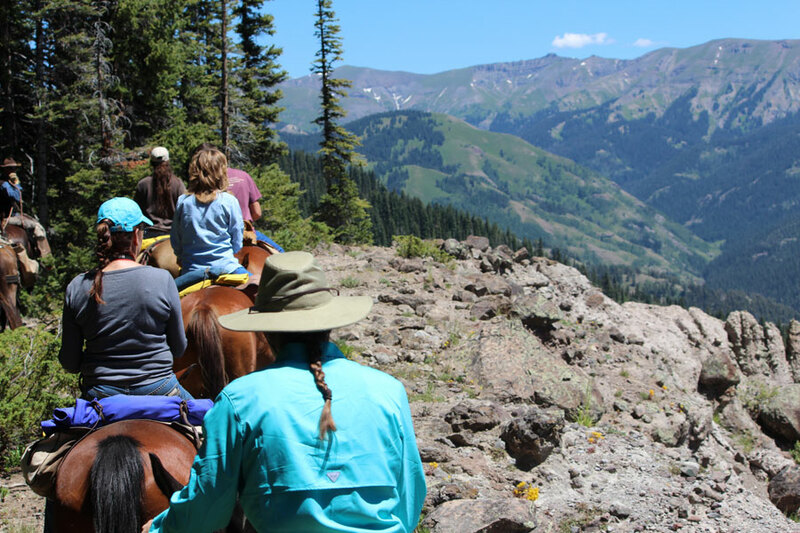 Browse through our options ranging from half day horseback rides to multiple day pack trips. We can be flexible with many of the details of our trips to accommodate different needs. If you have any questions feel free to give us a call or send us an email to discuss the possibilities! We do get busy; the best way to ensure your dream trip is to call and make a reservation. 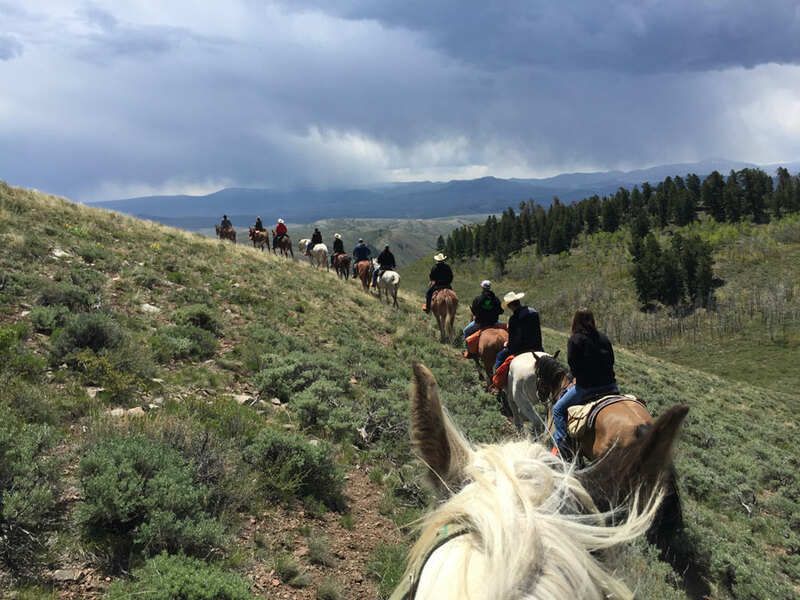 Experience breathtaking views of the Gunnison Valley backcountry on horseback! 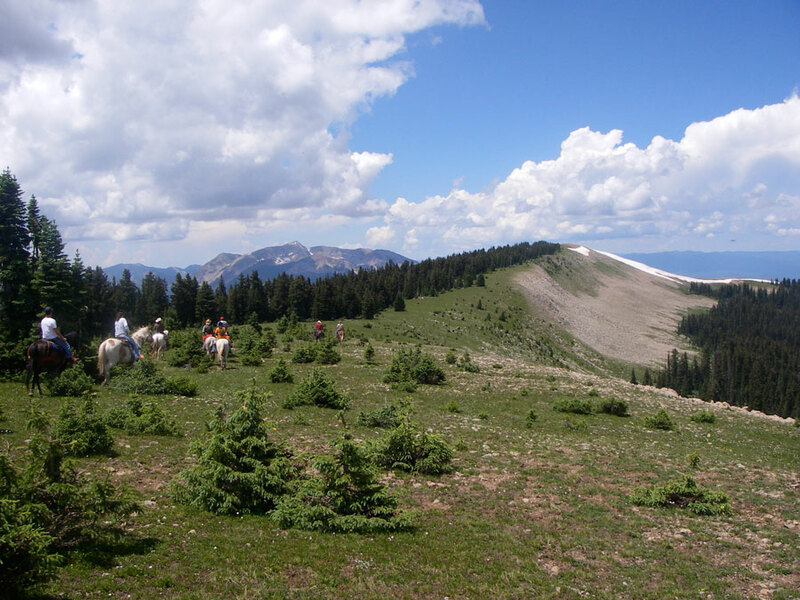 A variety of rides are available including our signature rides above timberline on the Baldy Mountains. Before breaking trail, get acquainted with your horse with a professional instructional lesson. Lunch is provided on full day trips. Great options for beginners. Included with multiday trips are guides, horses, pack animals, all basic camping equipment, and all meals. You only need to bring your personal equipment. For a recommended personal gear list for overnight and multi-day pack trips Click here. We can supply much of the necessary personal equipment for a small rental fee. 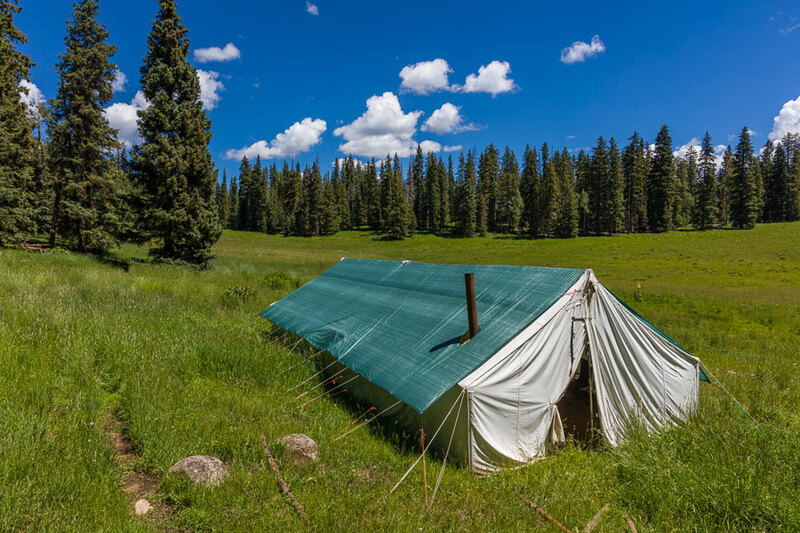 After 2-3 hours of riding through the wilderness, enjoy the peacefulness of settling in at one of our luxury backcountry camps for the night. Gather around a fire as we provide you dinner under the stars. Family-style tents with cots and sleeping pads provided. Optional hikes around camp. 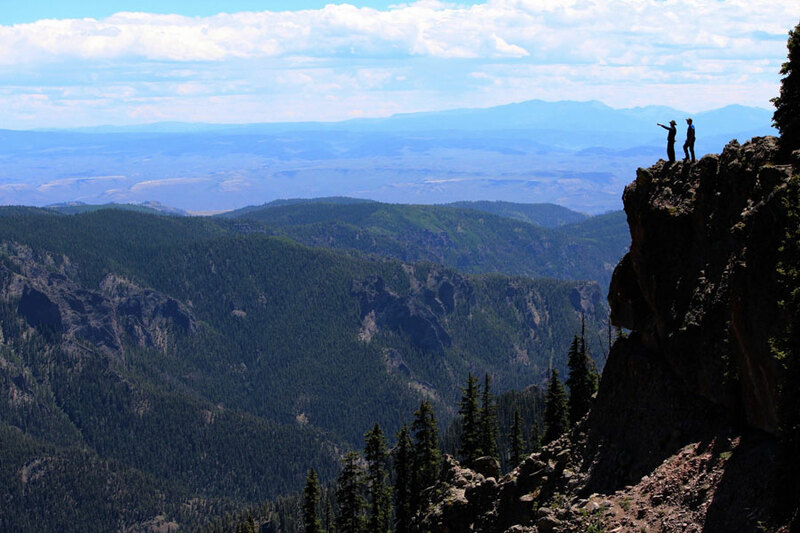 Immerse yourself in the solitude and beauty of the West Elk Wilderness with our multi-day pack trips. You choose how many days you’d like to explore and we’ll provide comfortable amenities, meals, and gear. These trips allow deeper access into the wilderness, and are the guides’ favorite trips. 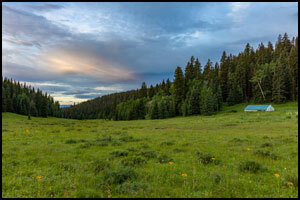 During our base camp pack trips we will ride to a camp and stay there for the predetermined time. Each day we can arrange many different activities, such as day horseback rides from our base camp, fishing, hiking, wildlife viewing and at certain camps, mountain climbing! These trips are logistically easier for the guides and stock, so the price is a little lower. With a progressive trip we move our camp as the trip progresses. We have the option to stay at each site for a day or two before we continue on to our next camp. 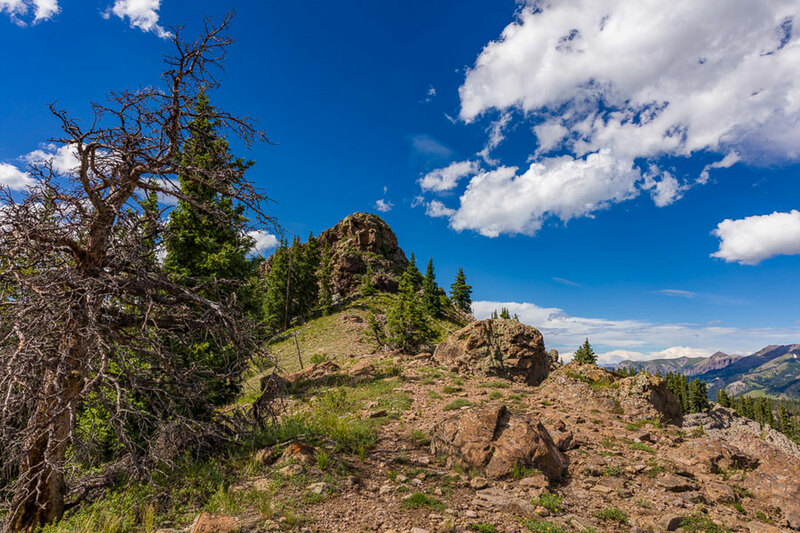 These progressive trips allow us to explore more of the West Elk Wilderness. We have a variety of destinations to visit. 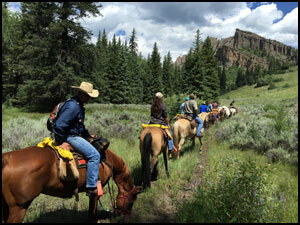 The horse camp rental program has been designed those who want to enjoy a wilderness horse trip with your own horse(s)! These trips are only available for groups with the proper experience, otherwise a guide will be necessary! 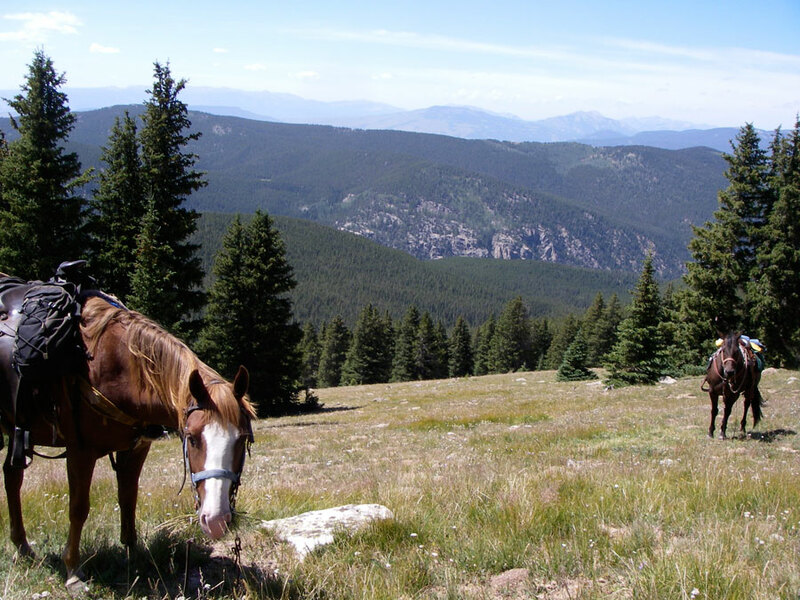 For those with the skills this service provides well set horse camps to help facilitate backcountry trips. Packing services for equipment, and food. 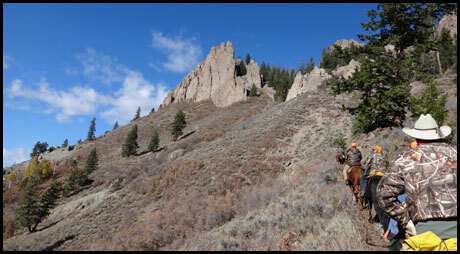 Trip logistical help including trailer shuttles, and ride ideas/consultations all across the Gunnison Country. These trips are only provided to groups that have the knowledge and experience. Give us a call to discuss the endless trip options and rates for these customized services. Click here to get a recommended personal gear list for each individual. We can supply much of the necessary personal equipment for a small rental fee. 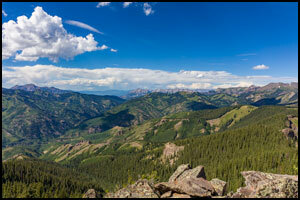 At West Elk Wilderness Outfitters we are blessed to operate in one of the most remote and scenic areas in the state. We love to help facilitate amazing trips for our guests into what we believe to be one of the most amazing wilderness areas in the state. 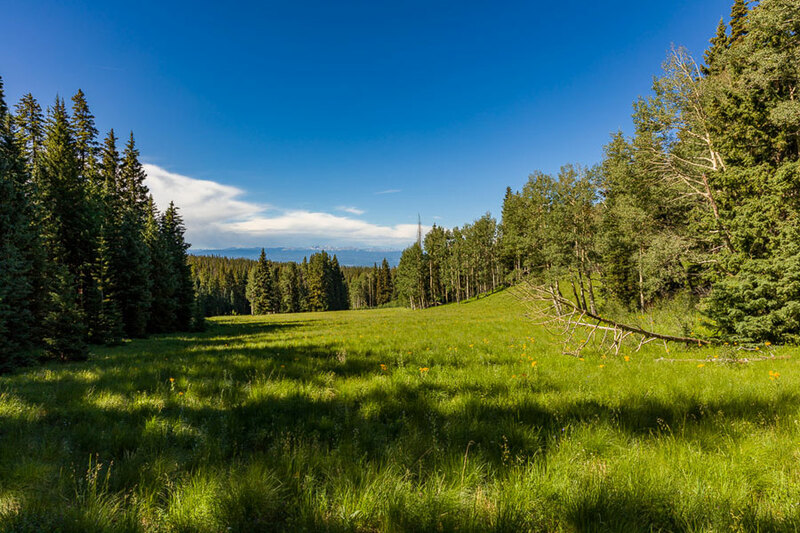 The West Elk Wilderness was protected in 1964 with the passing of the Wilderness Act. 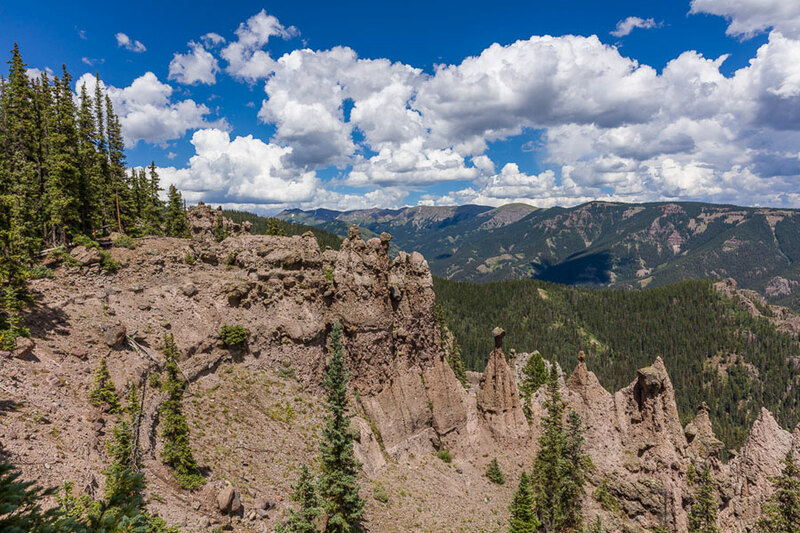 After several expansions over the years the wilderness area is now 176,412 acres, and the 5th largest in the State of Colorado. 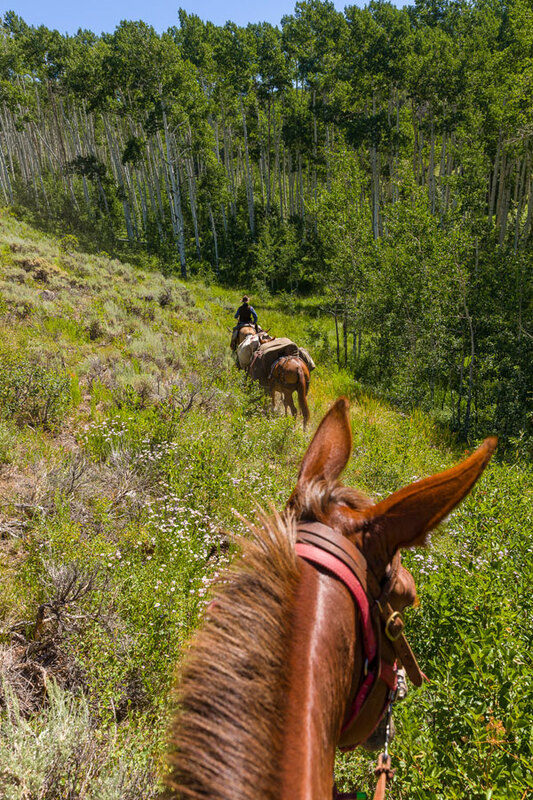 With over 200 miles of trails it is a horseback riders dream with endless exploration possibilities. There are many unique aspects of this wild place that combine to make the area one to visit. 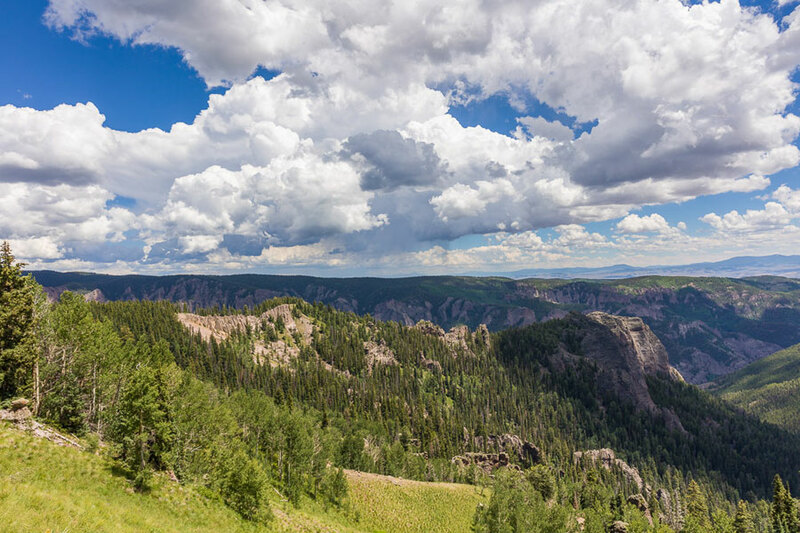 The remoteness of the country and the rugged terrain combine to make this place one of the least crowded wildernesses in the state. The terrain is extremely rugged with a heavy volcanic influence. 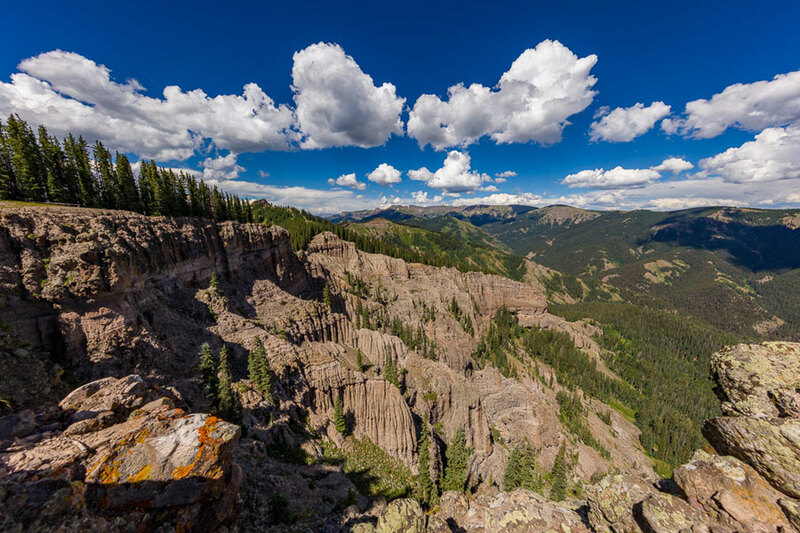 Huge cliffs, pinnacles, and wild rock formations add to the scenic draw of the area. 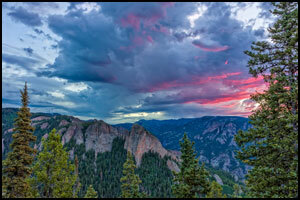 Elevations range from 6,800 feet above sea level to 13, 042 at the summit of West Elk Peak. 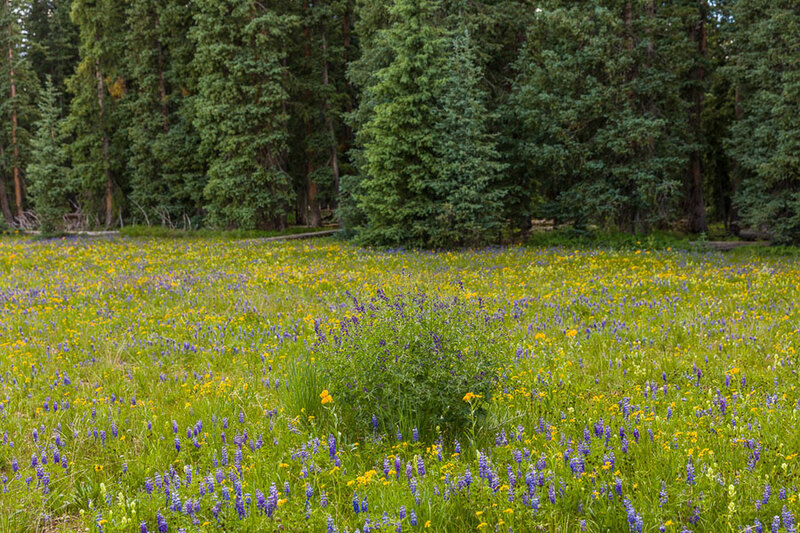 Wild game is extremely abundant in the West Elk Wilderness. Elk, mule deer, bighorn sheep, and black bear are just a few of the big game species that live in the area. 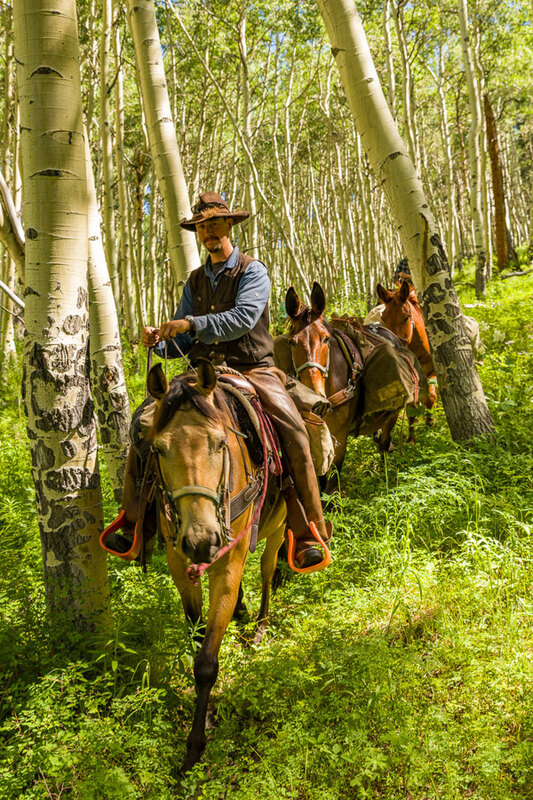 Our guides are enthusiastic and eager to share their knowledge of both the horses and the West Elk Wilderness. For the safety of our guests we do not provide rides that run, gallop, or race any of our horses. 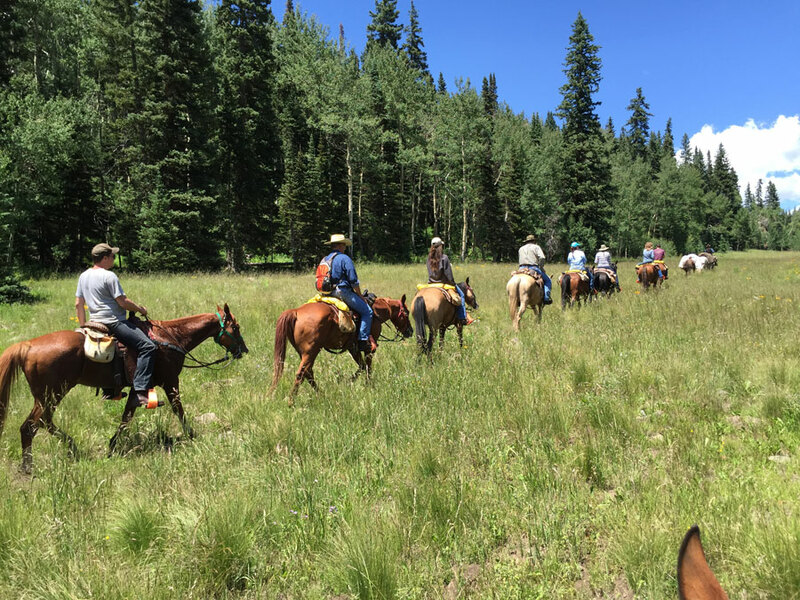 Riders will be moving at a comfortable walking pace on their horses along Forest Service maintained trails led by one our guides. Riding helmets are always a good idea, but are not required. All riders are required to sign an Acknowledgement of Risks and Release of Liability form. All trips require a 50% non-refundable deposit to confirm your trip. Contracts will be mailed to clients and are returned with deposit to lock in the trip details and dates.